The World Is Not Enough PS1 N64 difference? I've got The World is Not Enough on the N64 is it worth getting the PS1 version as well? Are they massively different? Yes they are very different. Both made by different studios. The N64 version is far superior. The PS1 version is pretty much a different game with some minor similarities. They are different enough to warrant getting both ports. From what I remember, the N64 game has more levels (and was the better version imo). 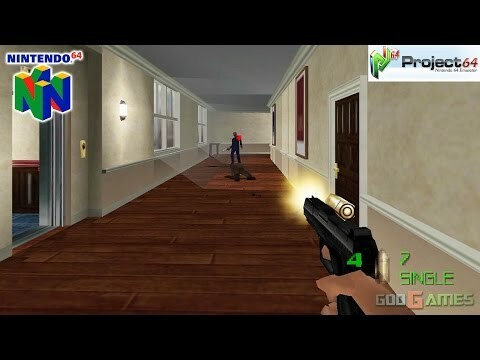 Yes the N64 version had more levels and was more accurate to the film while the PS1 version had less levels but were less accurate to the film. The cutscenes are taken straight from the film in the PS1 version. Nightfire on Console was a straight-up successor to the N64 TWINE. The PS1 also had levels from the film that weren't in the N64 version like Valentin's Casino and the Pipeline Control facility. And the fact that the Night Shift level in PS1 takes place in Elektra's mansion whereas in the N64 version, you can snoop around the inner garden, the poolside, some restricted areas and security posts. The PS1 is only indoors. City of Walkways confuses the hell out of you in PS1, whereas in N64, it's split to two levels and you can tell what is what and which is which. The Submarine level in the PS1 version is confusing and straightforward as if it hadn't been sunk while the N64 version is flooded and much like the film version. Definitely. The PS1 version of Meltdown (the level name if I remember correctly, or was it Submerged?) keeps spawning enemies out of nowhere. You clear the room, go to the next phase of the map, then come back, here they are again, eating a large dose of your health. The PS1 Bond games were unfairly hard to play. That also said, the N64 version of the Meltdown level is also confusing as it has a new system of swimming and moving through as well as finding the right doors to keep you going into the right direction under limited time. But, it's also creative that you'll get used to with more plays. Yes Meltdown I think it was. The PS1 version was not submerged at all. It was all linear and confusing. Plus it had that room where you had to navigate around toxic barrels before the radiation killed you. Very difficult game. Made by the same studio that made TND for the PS1 as well. The N64 version was confusing too. I always had a hard time playing that final level but it felt as suspenseful as movie. Man, Black Ops Entertainment was so wrong for Bond. 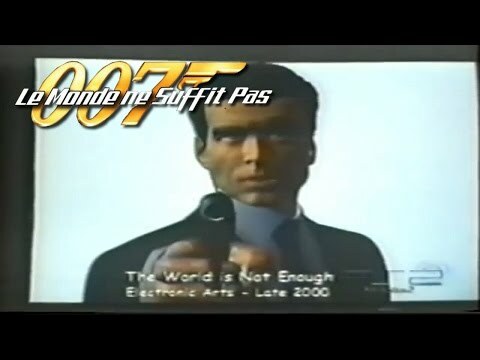 I would say that the PS1 version is worth playing, for a Bond fan. I wouldn't recommend it to anyone else. The N64 version is far superior. @ClarkDevlin sounds like they used k.d. Lang's Surrender for the soundtrack around minute 6 in that first video. Thanks all. I will pick this one up to see whats it is like. 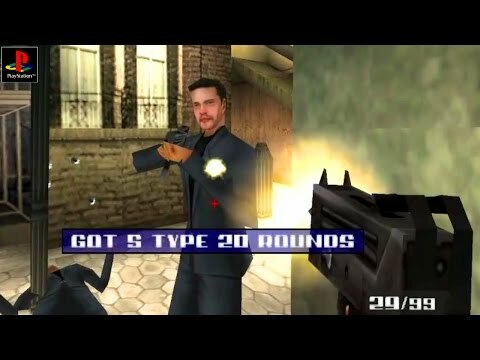 I'm playing to have an epic Bond game play-through in the New Year starting with Goldeneye N64 through to 007 Legends so I'll include TWINE PS1 as well now! Is it true that the AUF shares the same soundtrack from the PS1 TWINE? Add some tracks from the N-64 version, too. Did it entirely reuse the soundtrack of TWINE PS1/N64 or did they have original scores composed for AUF as well? I heard some bad things about the PS1 TWINE and I haven't played AUF in a couple years. It's soundtrack never stood out to me as much as NF, EON and TWINE 64 did, which I recently played. They did have original scores composed for AUF, too. That's where Bill Brown comes in. You can play poker in the Nintendo DS version of Blood Stone. Didn't Don Veca compose the score for AUF? Nope. He did all work for TWINE, both N64 and PS1 versions, both that seem awfully different you wouldn't think it's from the same composer, but all those actually had an overall for the bigger, better and brighter version that was supposed to be the product on PS2 and PC. But, after EA pulled the plug on that port, AUF was born. And things were reworked into it. Sound editor/mixer Bill Brown was brought in to do the additional music. Like the Trouble In Paradise level in its entirely from start to finish. Didn't know that, thanks. Brown doesn't seem to be credited anywhere. Damn, i didn't even know there was a DS Version of Blood Stone. Is it any good? A lot better than the mainstream version. I take your word for it mate. Just ordered a copy so it's time to dust off my 3DS. I had my first complete playthrough of Legends this weekend and I really need something to cheer me up now.